When the first trailer for Paul Feig’s Ghostbusters first dropped, we at The A.V. Club found it strangely reminiscent of its namesake. Now that was to be expected (to an extent), what with this being a reboot and all. But criticism (that’s one way to put it) about the project stems mostly from the team being an all-female one, whose fictional proficiency as ghostbusters has already been deemed “childhood-ruining” and subpar. And that backlash has helped the trailer make YouTube history, as it now holds the record for most dislikes for a movie trailer: The number of dislikes is twice as high as the number of likes. 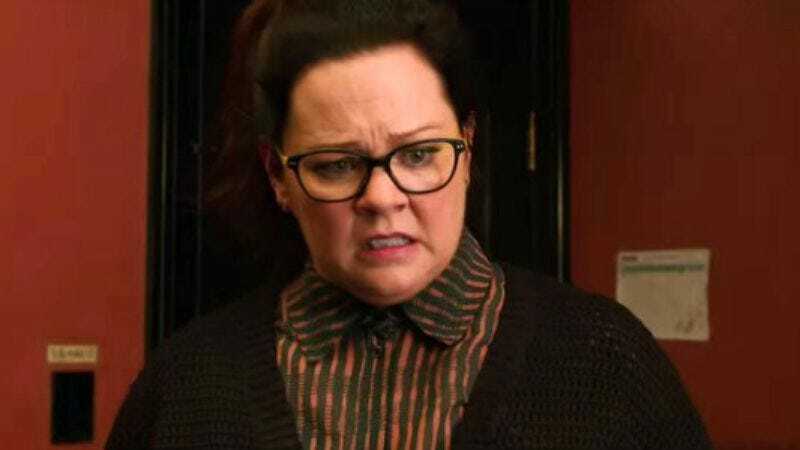 McCarthy’s concerns are somewhat more thoughtful than a knee-jerk reaction to all the woman-identifying players in the film, so those who have already decided that the reboot has created a supermassive black hole of everything that’s wrong in the world probably won’t find it to be in line with their own opposition to the project. But she also joked that “no one cared” what she thought of the trailer (which isn’t even one of the more egregious examples of a misleading promo), a sentiment that probably extends to the reboot’s seemingly clairvoyant detractors.